Hallelujah Night should be fun for everyone. Some churches offer Hallelujah Night as a Christian alternative to Halloween because Halloween has ancient roots in pagan celebrations of dark spirits. Hallelujah Night celebrations include safe activities in which kids and their families can participate. Decorate the setting with touches of the harvest season and plan autumn or biblical-based games as entertainment for party attendees. Set up a variety of individual carnival games -- perhaps 10 to 20 booths -- on the church property. For example, you can create a ring toss and give children three chances to throw a ring around a pumpkin. Another option is to set up bowling pins and have the children try to knock them down with a ball. Regardless of whether the children win or not, give out small prizes such as pocket bibles or candy to all those who give the game a try. 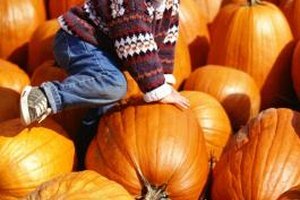 Older children and teenagers can compete in a traditional pumpkin carving contest. Rather than jack-o'-lanterns, have participants carve something related to the bible. For example, a teen may carve a rainbow to remind others of the story of Noah, or a cross to represent the death of Jesus. Have the children display a scripture next to their carved pumpkins to coincide with their themes. Choose other attendees to serve as judges to pick the most creative pumpkin. Celebrate the flavors of the season with a game involving fall treats. Ask all the parents for pumpkin and apple pie donations for the festivities. Set up 10 chairs in a circle. Tape a number from 1 through 10 on each chair. Display 10 pies on a table. Number and write out the ten commandments, each on an individual card. Place a commandment card next to each pie. Also write out the numbers 1 through 10 each on a small slip of paper. Fold the pieces of paper and drop them in a hat. Play some music and have 11 children walk around the chairs. When the music stops, the children must run to sit down. The child who does not find a seat is out. Next, draw a number from a hat. The child sitting in a chair with the number you draw wins the pie on the table with the corresponding numbered commandment. Have the winner say the commandment aloud. Add a new pie to the table and a new player to the group and repeat until all the pies are gone, whittling down the group of children when there are less than 10 pies left. 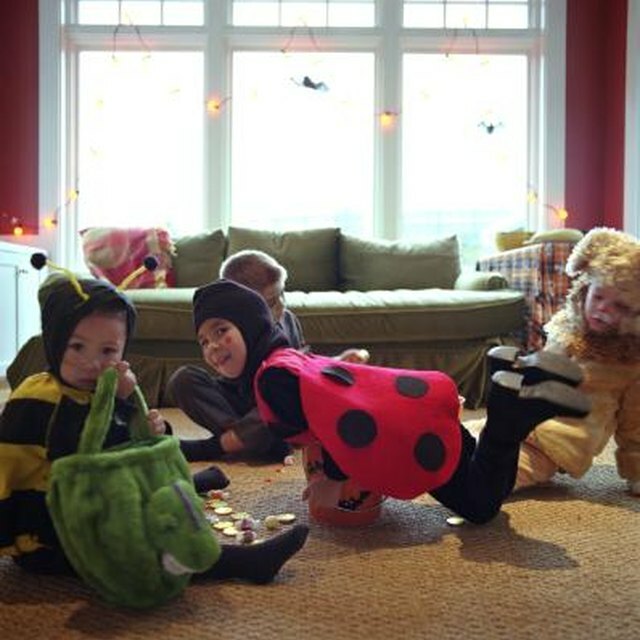 Instead of dressing as vampires and ghosts, have children dress as their favorite biblical characters. Encourage contestants to make or purchase costumes. Children can compete individually or with their families. For example, a child might choose to dress as Moses with a simple beard and robe or as Baby Jesus with their mother dressed as Mary and their father dressed as Joseph. Create categories such as Best Dressed Female Child and assign judges to choose the winners. Give large prizes to the winners, like gift cards, and candy or other treats to everyone else for their participation.